with a little green & gold. 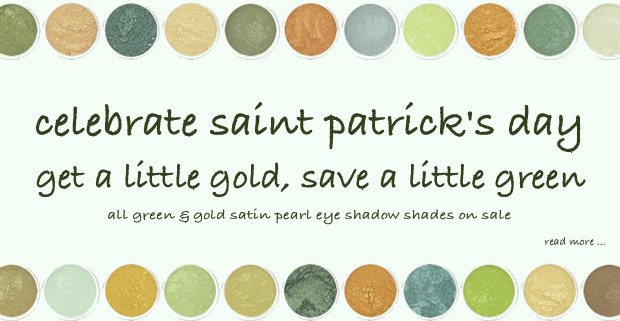 enjoy 40% off all green and gold satin pearl eye shadow shades! for a limited time - march 2 - march 17, 2015.